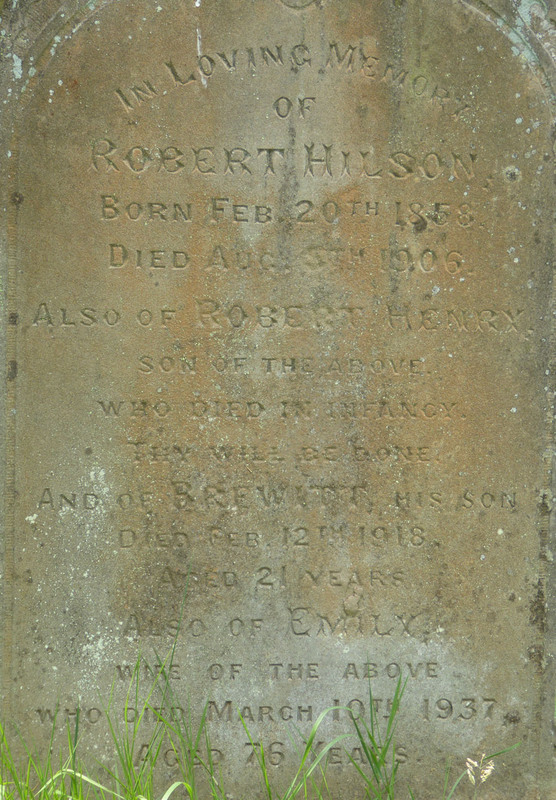 Bottesford churchyard headstone inscription for the Hilson family, including Brewitt Hilson. Brewitt Hilson's burial date, as recorded in the graveyard record book. Francis William Hilson's entry in the 1919 Bottesford Absent Voters List. Note the handwritten amendment annotating his desertion after the war on 12/3/19. None of his records appear to have survived in the National Archive. Francis William Hilson is one of the men on the 1918-19 Absentee Voters list for Bottesford, and is also on the 1919 Register of Bottesford Electors. Francis William Hilson was born on the 13th November, 1885, and baptised on the 21st March, 1886. His parents were Robert Hilson, born 1856 at Eye, Northamptonshire, and Emily James, born 1860 daughter of Francis and Anne James of Bottesford. Robert and Emily married on the 23rd December 1882 at Sneinton, Nottinghamshire. In 1891, the first house on the High Street, was the home of 50 year old spinster Elizabeth Brewitt, where she lived with Robert Hilson, a 35 years old railway signalman from Eye, Northamptonshire, his wife Emily, aged 31, and their children, Annie (7), Francis W. (5) and Frederick A. (2). Ten years earlier, in 1881, Elizabeth Brewitt had been living at 14 High St with her parents William and Anne Brewitt, together with their grand-daughter, Emily James, born in Bottesford, aged 21 and therefore born about 1860. Elizabeth was therefore her aunt. William Brewitt was a 73 years old ‘yeoman’ from Middlesex, and his wife Anne was 75, from Deal in Kent. Elizabeth Brewitt was described as a 40 years old housekeeper, born in Shoreditch, London. At this time, Robert Hilson was a lodger at 4, Chapel St., the home of John and Lucy Hardy. In 1901, the address was 51 High St. Here lived Elizabeth Brewitt (60, ‘own means’), Robert and Emily Hilson (40), Annie (17, a governess), Francis W (15), Frederick A. (12), John B. (3). In March, 1906, Frank (Francis) Hilson was fined for poaching. The Nottingham Evening Post reporting Bingham Petty Sessions on the 15th March: “In Pursuit of Game – Sidney Cox and Frank Hilson, lacehands, of Bottesford, were charged with trespassing in pursuit of game on land belonging to Lord Grantley, at Elton … each fined 20s.” Sadly, Robert Hilson died in Bottesford a short time later, and was buried on the 7th August, aged 49. In 1908, Annie Hilson married, and Frank was her best man. In 1911, Elizabeth Brewitt’s home had become 43 High St, where she lived with Emily, 49 years old with ‘private means’, and her sons Frank (25, a groom), Frederick (22, a lace worker) and Brewitt (13, old schoolboy). Frank Hilson was a keen sportsman, noted as a bowler with Grantham cricket club. For instance, in May, 1913, the Grantham Journal’s report on a match between Grantham and Radcliffe said that “ … M.W.Appleby and Frank Hilson bowled with such excellent effect that their opponents were dismissed for 51. …”. He was also a keen angler and whist player. Francis William Hilson was recorded as an Absentee Voter in 1918, his residence on Bottesford High Street, serving as 30143 Private, 1st Devons. No other service records have been located, other than his MIC, which repeats these details. 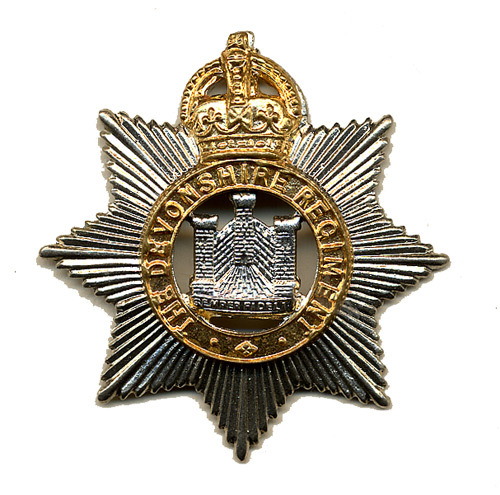 The 1st Battalion of the Devonshire Regiment landed at Le Havre in September 1914 as part of the 5th Division, and remained in France and Flanders to the end of the war save for a period between November 1917 and April 1918 when it moved to Italy in order to strengthen the forces after the defeat of Caporetto. Its return to France was a response to the German offensive which had started the previous month. In 1919, a comment was added by hand to his 1918 entry in the Bottesford list of Absentee Voters saying that he had deserted on the 12th March, 1919. No further details of this have been found. 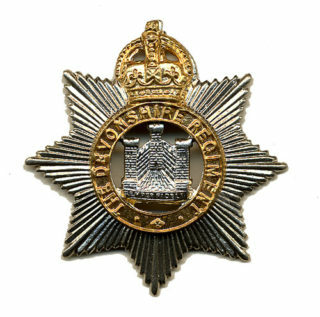 His name is not in the list of British Army Deserters and Absentees published for 1919 in the Police Gazette (Find My Past). It may be that he had been denied permission to attend his brother Brewitt’s funeral which took place on the 15th February 1919 and wanted to spend time with his mother, who had lost two sons and was grieving on her own. Elizabeth Brewitt died in 1918 at Bottesford and was buried on the 10th April, aged 76. In the 1920s, Francis Hilson lived with his mother, Emily, at Bottesford West End. This might well have been the original house that Elizabeth Brewitt had owned. It seems likely that he never married. Emily Hilson died in 1937. In the 1939 register, there is a record of a Francis W. Hilson, a single wharehouseman, as a patient in Carlton Hays Hospital, Narborough (Leicestershire County Asylum). Francis William Hilson died in 1970 in Leicester, aged 84. Frederick Augustus Hilson, Francis’ brother, was born in Bottesford on the 19th January, 1889. He may be the man who married Emily Watkins in West Ham, London, in 1912. He may also have been Acting Sergeant Frederick Hilson, L/8845, 1st Battalion, East Surrey Regiment, who was killed on the 2nd January, 1915, and buried at Wulverghem-Lindenhoek Road Military Cemetery. This is not certain. There is another MIC for a Frederick Hilson, who was Pte 8833 Rifle Brigade, then Sergeant 607902 Labour Corps. However, no information about him has been found in the post-war records such as the Registers of Voters or the 1939 Register, nor is there a post-WW1 record of the death of a man with this name. John Brewitt Hilson, Emily Hilson’s third son, was born in 1897 in Bottesford. He was buried on the 15th February, 1919, in Bottesford, aged just 22. There is no record of his having married. There is no record of him having a War Grave. There is a small number of medal index cards for men named John Hilson, though most are from Scottish Highland regiments. Perhaps the cards most likely to refer to him are for Private 17769 Duke of Cornwall’s Light Infantry, and for Private SE/30275 Army Veterinary Corps. In either case, it is perhaps most likely that he fell ill with the influenza at the end of the war and died after arriving back home. their son Brewitt, died 12th February 1918 aged 21. Note that the date of Brewitt Hilson’s death inscribed on the gravestone is exactly one year from that in the General Register and the transcription of Leicestershire Burials. Examination of the grave-digger’s record book confirms that the year of his burial was 1919, and therefore the inscription is in error.